We offer the widest variety of wall panels/ceiling in the pharmaceutical industry for clean room applications. Pharmaceutical application require panels that can be washed continuously without breaking down while architectural finishes withstand repeated cleaning and sanitization with various chemicals to resist microbial and fungal growth. Alternate surfaces and cores, however, are available to meet the requirements of any type of cleanroom application. 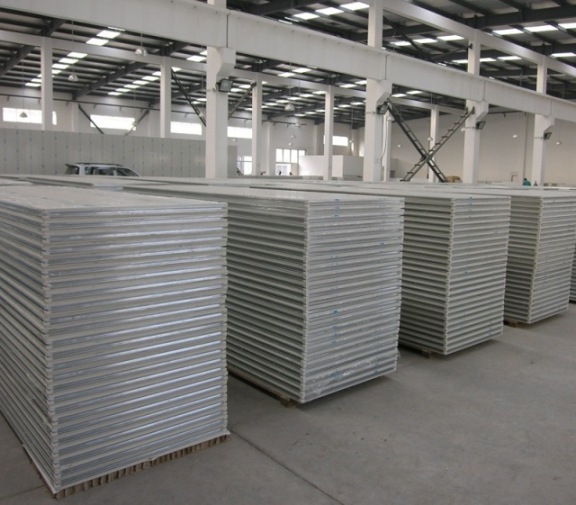 Surfaces offered include melamine, painted steel, stainless steel, Panel cores are available in injected polyurethane (PUR), sticked polyurethane(PUF), expanded polystyrene(EPS), glass magnesium, paper honeycomb, aluminum honeycomb, gypsum , and rock wool. High quality surface material, melamine skin. Good machinable characteristic for flexible cutting or drill. High quality surface material is resistant to chemical, attack, abrasion and scratch. Panel four side extrusion seal up the panel edges to avoid contamination. High quality thermal insulation core material. Embedded reinforcement structure as per requirements. Custom embedded pipeline for wiring conduit. Easy and fast installation wall systems. Flexible components can be selected for different requirements. Rigid systems to avoid air leakage. Systems come with complete door and window sets. All components can be flush connection.